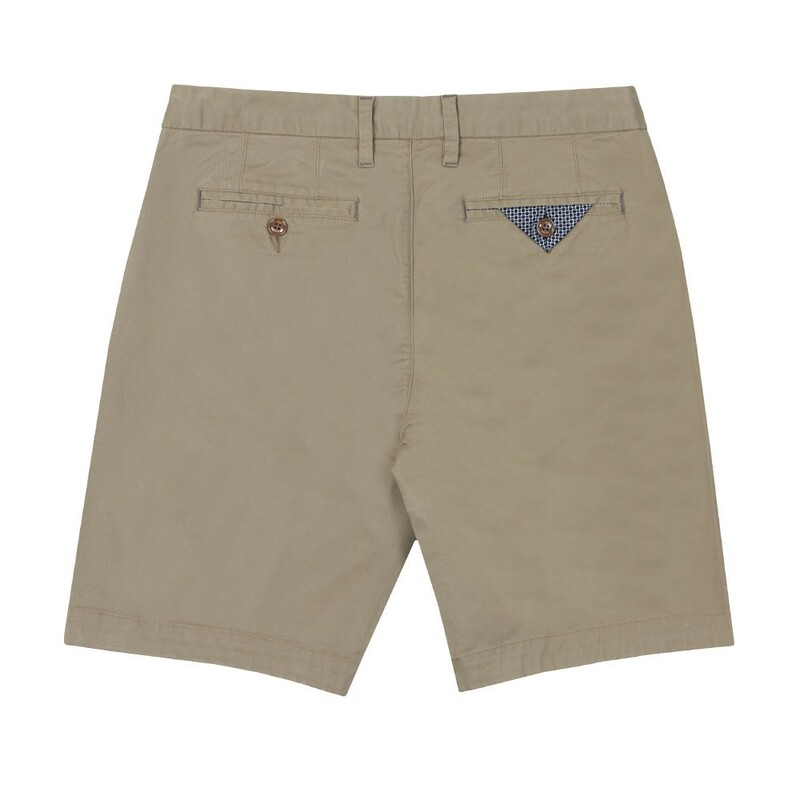 Ted Baker Chino Shorts in Natural. 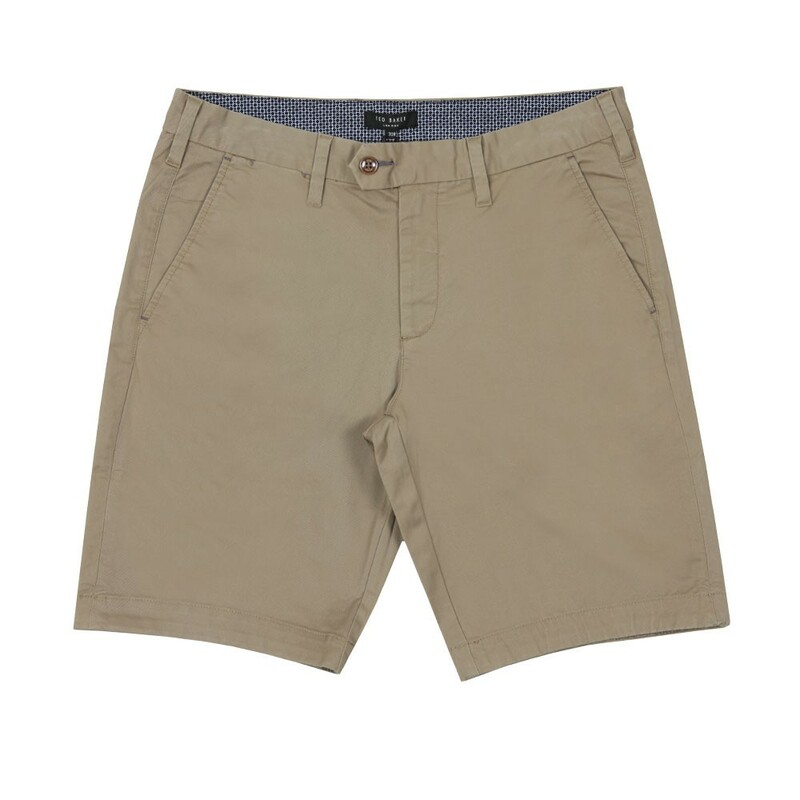 These Chino Shorts are a Classic fit sitting just above the knee. Back pockets are both secured with a button, Right pocket has a patterned Cloth coming out that matches the inside lining.